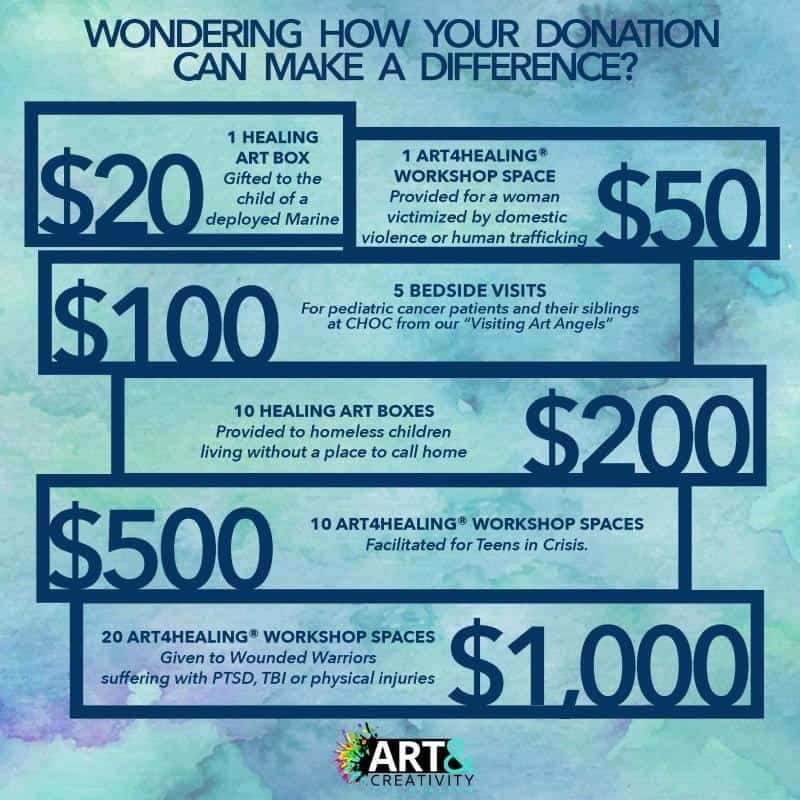 Donate today and give the gift of artistic expression! Your gift provides healing to women, children, and families living with pain, grief, fear, illness or stress. 100% of your donations go to support our Non-Profit Partner Programs in the community. Our operational costs are covered entirely through Certification, Studio Workshops, and online sales. Individual donations are very important to us. Any amount helps out mission thrive and grow. 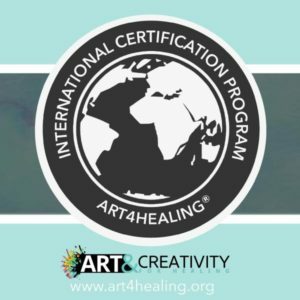 Gift the gift of healing art today! We’ve partnered with Stock Donator to accept a new type of donations! Stock Donator provides a secure, fast, and simple web enabled service to donate publicly traded stocks to various organizations. Individual donors log on to www.stockdonator.com and enter the information required to donate stock. Some firms may use Medallion Signatures (MS) as an additional means to validate the donation request. If so, that will be handled. Stock Donator provides the stock proceeds net of any fees and service charges to the receiving organization, based on the organization’s preference to either liquidate immediately or transfer the stock. To complete the process, Stock Donator provides the Donor with the transaction receipts needed to claim the tax deduction for the stock donations.